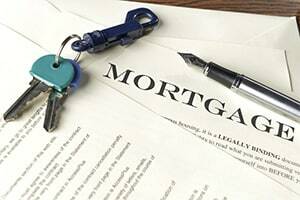 Your economic wellbeing may be significantly affected by your mortgage. It is crucial to find a mortgage that works with your budget, but over a 15-45-year period, your budget may change dramatically. For some people, a convertible adjustable rate mortgage may be a useful solution. A convertible adjustable rate mortgage allows a borrower to change an adjustable rate mortgage into a fixed rate mortgage. At Pulgini & Norton, our Boston real estate lawyers can advise you on your mortgage and other aspects of a residential property transaction. When selecting a mortgage for your first home, you should keep in mind how much you can afford for your monthly payment. You will need to budget a certain amount and make sure that you do not exceed that amount when choosing a home to buy or a mortgage. There are numerous options available when shopping for a mortgage, including 30-year fixed rate mortgages, adjustable rate mortgages, jumbo loans, FHA loans, USDA loans, intermediate adjustable rate mortgages, and convertible adjustable rate mortgages. An adjustable rate mortgage almost always starts out with a low interest rate for the first five years, as compared to a fixed year mortgage. Your payment may be locked in for several years at a low rate that allows you a certain amount of flexibility. However, unlike an ordinary adjustable rate mortgage, with a convertible adjustable rate mortgage, you later have the option to change your loan to a fixed rate loan. This flexibility may make it a better choice of mortgage for people who anticipate that their circumstances will change down the road, such as people just starting out on a professional career path or people who anticipate inheriting money. You can buy during a period of lower interest rates, anticipate the higher interest rate, and convert to a fixed rate beforehand to save money. When you sign up for a convertible loan, you will not need to pay another set of closing costs, as you would in a refinance situation. The fee for conversion is nominal, and the rate that you obtain will be only slightly more than the market rate. On the other hand, you cannot look around to find a better deal with this type of mortgage, as you can if you refinance. Sometimes it is cheaper to go with a convertible adjustable rate mortgage, but at other times, the refinance rate may prove to be lower than the new fixed rate. Everyone has a different situation, and there is no one-size-fits-all mortgage. Taking out a mortgage may be a tremendous commitment that has a sizeable impact on your budget down the road. With a convertible adjustable rate mortgage, you may be able to utilize the advantages of both fixed rate and adjustable rate loans. However, there may also be disadvantages. At Pulgini & Norton, our Boston attorneys can advise prospective borrowers on which types of mortgages, including convertible adjustable rate mortgages, might be best for their situation. Our firm also handles real estate transactions in Andover, Weymouth, and Lowell, among other Massachusetts cities. For a consultation with a home financing lawyer, contact us online or call us at 781-843-2200.